Discussion in 'Lizard Discussion' started by Oddball, Dec 16, 2008. 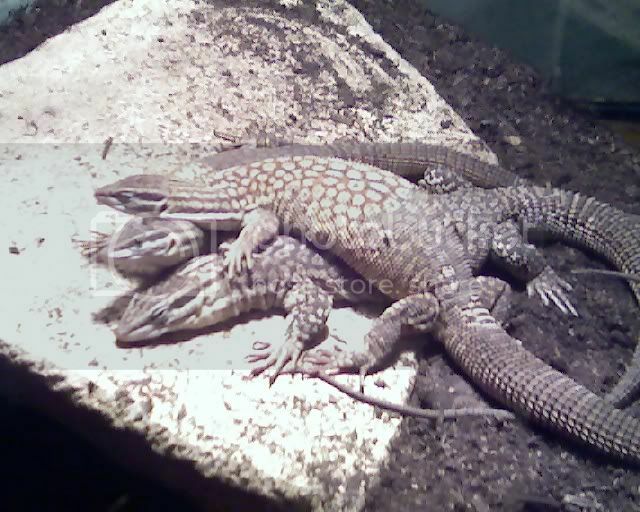 Did you buy them from Switzer Reptiles?? I've been looking at them but I want to get a trio of Reds from ProExotics next month. both reds and yellows are really neat creatures. i love the varanids. Dave, proexotics is a really good place to buy. i have heard alot of good things about them. and if you did buy them from switzer oddball tell me how it goes. i have been looking to buy something from them. I've heard alot of good about them also. I've emailed back and forth with Robyn a few times. I'm hoping to still have a job next month so I can get the Ackies. I talked to Linda Switzer on the phone once. She seems very passionate about her reptiles. yeah no xmas shopping this year. bought myself the ackies hahaha. no unnecessary spending for a couple months. Switzer is where my brother picked up his ackies. he picked it up from them, and it is and was in great health when he got it. Awesome looking ridgetails, and Linda is awesome to deal with, she is always upfront on her animals. the only thing that bothers me is Dot is a lot smaller than Yacko! they get along well. theres no fighting but rather just a fun show with them running around. Animaniacs. Sorry, I had to Google them. hahah in 93 i was 4 so cartoons were what was cool! oh man you should see these ackies run around!!! good luck with them i was thinking about getting them but changed my mind and picked up 2 baby Argus. 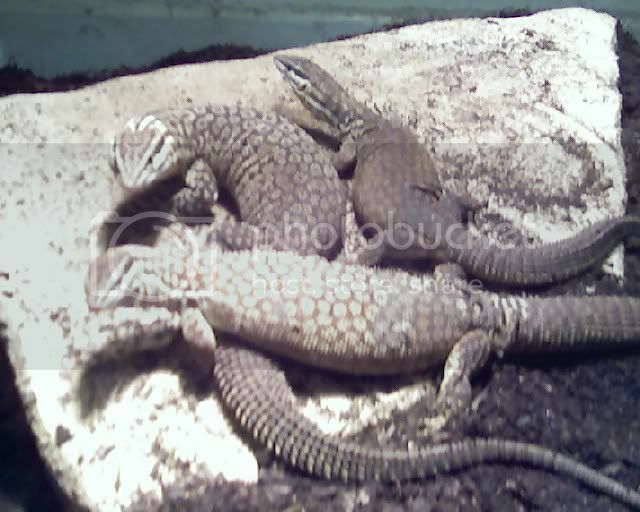 It depends how big a cage there in and how many basking spots there are. If your worried about it not eating enough you can tong feed that one in particular so you know it is getting food. if they due fight it is best to separate one to avoid serious injury.